A Conditions Stakes over 6f 20y on Standard going. An All-Weather Fast Track Qualifier. A competitive Class 2 race. Win prize money of £9,452. Eight two-year-olds take part. The betting suggests five horses have some hope. Sound And Silence is the class horse of the field. 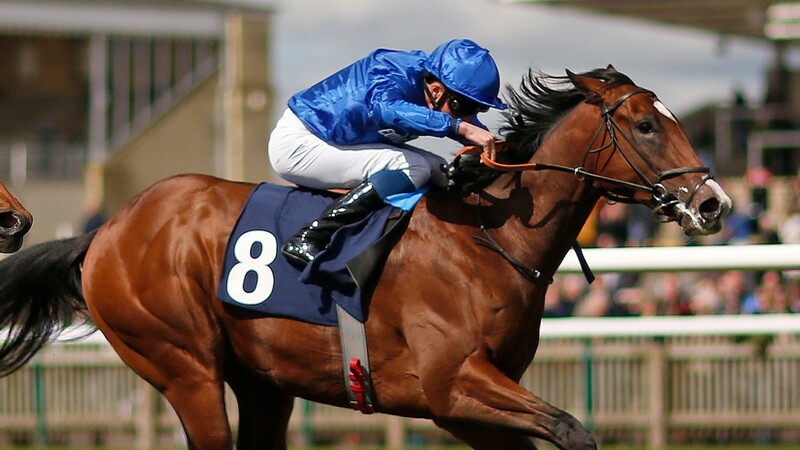 Charlie Appleby's son of Exceed And Excell has run nine times, winning four, placed on three more occasions. Debut winner, remarkably consistent. Twice a Listed class victor and ''ready'' Group 3 in the Prix Eclipse at Maison-Laffitte. His three placed efforts (runner-up) saw losses of no more than half a length. With an official rating of 107 and total prize earning of £184,270 this is a talented juvenile. In fact, by significant entries, one of the better youngsters in the Godolphin string. He has predominantly raced over 5f, although a winner on one of two starts over 6f. The main handicap here is that Sound And Silence has to give away 7lb to some smart opponents. From a prime draw, he will be a tough nut to crack. Corinthia Knight has an official rating of 105. This Irish-bred son of Societ Rock was a boon for rookie trainer Archie Watson and the Ontoawinner & Partner syndicate. A spectacular debut win made headline news. This chestnut colt has achieved three wins. On a form line with Sound And Silence at Maisons-Laffitte, he holds every chance, especially with the Godolphin charge shouldering a penalty. He has proven a real speedster on the all-weather, liking turning courses, and literally destroyed the opposition when winning at this course. Interesting to see if this 6f is a plus or a minus. Considering this January foal has been racing over the minimum trip this extra yardage may be a test in the closing stages especially if leading. Hugo Palmer has a number of talented juveniles in his armoury so it could be telling that Never Back Down has been selected here. This son of Kodiac certainly gave Sound And Silence a run for his money on debut when losing by half a length. He beat a fair horse in Haddaf when 1/3f on his second start at Leicester. Wasn't beaten far when 9th in the Tote Two-Year-Old Trophy at Redcar. Although disappointed somewhat at Listed class on his final start of the season at Doncaster. Definitely needs to have improved since the last run at the end of October. Mark Johnston's Izzy Bizu has been kept busy all season. This brown daughter of Kodiac has four wins from nine starts including a Listed victory at Deauville, France. There isn't much of this filly but she runs well fresh. A penalty doesn't help her cause against the colts. The most lightly raced horse in the field is Sylvester Kirk's Music Society. This Irish-bred son of Society Rock was fancied to go well on debut at Chepstow. He did little wrong finishing runner-up to the speedy Demon's Rock. It was only a Median Auction so nothing to get too carried away. However, he proved an easy winner at the same level when crushing his opposition at Chelmsford when stepping up to 7f. Joegogo, Our Man In Havana & Yogi's Girl are best watched. Conclusion: Not the best money for a contest of this stature although being a Fast Track Qualifier it must have its positives. Charlie Appleby has placed Sound And Silence exceptional well. He has always been held in high regard by connections and one of the best-entered juveniles in their string. It would have been easy to push too high with this colt but Appleby has placed him to win. This race looks par for the course. A prime draw is no bad thing around here. The stumbling block may be the penalty. I would suspect that even with that millstone he will take some beating. Whether I would jump in at short odds is another matter. Corinthia Knight loves these turning courses and probably a better horse on the all-weather. He may well set a ferocious pace and try and hang on for grim death. I just wonder if this 6f will be his weakness. A horse, if betting, where you may be wise to lay your stake or bet in running. Never Back Down is one of a number of horses Hugo Palmer could have raced. That gives the impression he is better than seen. On form, he may need to improve a good deal. Izzy Bizu goes well fresh but has a penalty and a filly again the colts will have a tough call. Music Society drops in distance and although an easy winner last time out it was at a restricted grade. I wouldn't look beyond the two favourites.